‘Gaming’ is the playing of a game (being a game of chance or a game which combines skill and chance) for a prize. (‘Sport’ is specifically excluded from the definition, which gives rise to certain issues in its own right. )4 As to the issue of skill or chance, the amount of chance required to fulfil the test is not defined and there is no formal de minimis level, (and certainly not a ‘balancing act’ to see which of the two factors predominates in the outcome, as is the case in some legal systems). Any amount of chance in the game will satisfy the definition. Having said this, tiny amounts of chance, such as the toss of a coin to see who will start a game of chess, are not considered to have the necessary impact on the result and are discounted. The concept of a ‘prize’5 is widely drawn, to mean essentially anything of value. However, there are, for example, specific exclusions from the definition of gaming machines in relation to returns to the player in the form of an extended playing experience6 – that are not sufficient to be characterised as a prize. This is an important consideration when considering ‘social gaming’, which is generally not regulated as a form of gambling under English law. ‘Betting’ can be summarised as the making of a bet (normally considered a hazarding of value on a future uncertain event, or a past event or fact that is not generally known).7 Various species of bet are distinguished under English law. First, one may consider ‘pool betting’ – also known as a pari-mutuel – in which the organiser takes in the stakes from the participants and then, from that ‘pool’, returns a portion of those funds to those who were successful, keeping a profit for himself or herself.8 Pool betting also covers betting where the prize is non-monetary. ‘Fixed-odds’ betting is where the operator (bookmaker) offers odds to potential punters that are calculated to deliver an ‘over round’ profit, and that are then adjusted as volumes of bets on a particular outcome are received. A further species of betting is ‘spread betting’, where the bookmaker offers a ‘spread’ of results, and the participant decides whether the actual result will be above or below the upper or lower limit of the spread.9 The amount to be won (or lost) is a multiple of the staked amount, depending upon the extent to which the actual result exceeds the spread. Such betting carries with it greater risk to both the bookmaker and the participant, and advertising of spread betting is therefore subject to stricter controls. Finally, it is worth considering two fairly recent gambling innovations that created legal uncertainty under the former regime and that were specifically legislated for under the current GA. The first of these is ‘betting prize competitions’,10 which is a definition essentially designed to cover the playing of ‘fantasy league’-style contests. The second is the regulation of those who organise peer-to-peer betting networks, in which the bet is struck directly between two end parties, but the organisation of the market place of ‘bids and offers’ is regulated by an operator who takes a small commission from the winner. Such operators are classed as ‘betting intermediaries’,11 although the open-textured nature of the definition means that it also catches betting agents and brokers. An activity might fit within more than one of the statutory definitions, and the legislation contains a number of extra tests to determine whether such an activity is to be treated as one or the other form of regulated activity.17 For example, roulette is a form of gaming that shares many of the characteristics of a bet on a future uncertain outcome, and also has the features of a division of prizes by chance – but it is ultimately treated as gaming by virtue of these rules of disambiguation. Finally, some forms of speculative investment, contracts for difference or insurance are taken outside the definition of gambling but are regulated under financial services legislation.19 Spread betting is the sole example of a form of gambling that is actually regulated as if it were a financial service. There has been speculation about whether ‘binary betting’ (also known as ‘binary options trading’) should be treated as gambling or a form of financial instrument. At present (and in contrast with the position in the rest of the EU) it is treated as a form of gambling – however, there has been some pressure for this to be recategorised. Gambling in the UK is the subject of private enterprise and principles of free competition rather than being state controlled. Private citizens and companies (whether foreign or UK-based) are all entitled to apply for a licence to operate gambling, and the number of licences are not limited provided that the operator fulfils the tests of being fit and proper to operate gambling set out in legislation and within the discretion of the regulator. There is one slight exception to this policy of free competition, which is the National Lottery. The National Lottery was established in 1993 and is the subject of a separate regime.23 Under that legislation, a single licensee is chosen to operate the National Lottery following a competitive tender. Once appointed, the licensee enjoys a monopoly right that was initially set at 10 years and most recently extended to 14 years with the possibility of sub-licences for some aspects of the overall scheme. The National Lottery is protected from competition from other lotteries by virtue of its unique status and government backing, and also because of limits on the prizes available in private lotteries. Descending to the next level is the United Kingdom, which is comprised of England, Wales, Scotland and Northern Ireland. Southern Ireland is a separate sovereign state, with its own gambling laws. Northern Ireland shares many statutes and legal principles with England and Wales, but its gambling law is separate (and currently the subject of change). In fact, two sections of the GA (Sections 43 and 340) apply directly in Northern Ireland, and in 2013 the government of Northern Ireland announced its intention to reform the existing law,24 to create a more up-to-date legislative framework but those changes remain at the stage or proposals and for the present Northern Irish rules somewhat resemble the legislative framework existing in England prior to the enactment of the GA in 2005. The legal treatment of offshore gambling in Great Britain has undergone a recent evolution. Prior to the GA, the position was that all gambling that was physically located outside Great Britain was not justiciable under the English courts. The basic legal principle governing legal culpability in relation to offences such as unlicensed gambling laid down a test by which, if the last act in the actus reus27 took place outside Great Britain, that conduct was not justiciable under the British courts.28 So someone offering online gambling services from London would have triggered an offence, but someone offering gambling services to British citizens from a location outside Britain would not. The only types of offences that could be tried before the English courts would be, for example, the advertising of gambling, which was completed at the point of the advertisement being published or available to British citizens. The Gambling Act created a regime that for the first time permitted online gambling within Great Britain. The following question therefore arose: would the new law seek to criminalise those who offered gambling to British citizens from abroad? The answer was a rather generous compromise. First, in deference to principles of freedom of movement of services and freedom of establishment of businesses under the European Treaty,29 any operator established in the European Economic Area30 would be permitted to advertise and offer those services in Great Britain. Further, operators in certain other states who had been approved by the Secretary of State as having regimes that offered an equivalent degree of regulatory protection could also offer and advertise their services (‘whitelisted’ states).31 Operators in other states could still provide gambling services, but could not advertise those services (based upon the approach to criminal justiciability discussed above and which had remained fundamentally unchanged, the act of gambling would be taking place outside the reach of the English criminal jurisdiction). However, by 2014 it had become increasingly apparent, as a result of developments in EU case law,32 that Member States were legally able to restrict gambling services to those who were licensed within that particular Member State (France and Italy are good examples of this more conservative approach). There were also pressures for change from those licensed within the British regime, who argued that the then current approach created competitive disadvantages from a fiscal point of view compared with operators in white list states. The law changed with the introduction of the Gambling (Licensing and Advertising) Act 2014. This provided that any operator that either had gambling equipment located in the UK, or knew or ought to know that British citizens were using those services (wherever that equipment was located) would require an operating licence33 (and would have to pay gambling duty on profits generated from business in Great Britain). Thus, the current position is that all such operators must seek an operating licence. The old offence of ‘advertising foreign gambling’ has been repealed, because the strictures of the new regime render it otiose. To date, it is uncertain how many operators from overseas continue to take business from British citizens. The British regulator, the Gambling Commission (the Commission), has indicated that it believes that the new regime is being complied with and policed effectively. However, we are not aware of any proceedings or enforcement actions that have been brought since the change in the law and, since gambling offences are not of a type or severity that permit a claim for extradition, it is difficult to see in practical terms how such enforcement could be effected in relation to an operator who ignored the law, but did not have a presence or assets within Great Britain. Betting shops (sometimes referred to as ‘licensed bookmaking offices’) are entitled to offer fixed-odds and pool betting, and to install a certain number of gaming machines (including, usually, certain ‘fixed-odds betting terminals’). Apart from bookmaker premises, betting is also offered on tracks and at courses during sporting events. In total, there are just under 10,000 such establishments in Britain. The grant and administration of premises licence is a matter for local planning authorities rather than the Commission (it being thought that it is a matter of local policy how venues such as clubs, theatres, pubs, restaurants, cinemas, night clubs and gambling premises are located and managed). The detail of the application process is outside the scope of this work but has considerable similarity to applications for alcohol licensing – having regard to issues such as the nature of the neighbourhood, proximity of schools and churches, potential for public nuisance, and so on. One potentially difficult area of licensing relates to gambling software.45 Those who produce gambling software on equipment based in the UK or who propose to supply such software to operators licensed by the Commission require a licence.46 The definition of gambling software is a wide one. There are sometimes difficulties in determining whether a provider of software (particularly one who provides third-party operators with access to equipment on which the software is hosted) has become so involved in the delivery of the overall gambling process that they should be reclassified as full operators. There are also difficult distinctions as to whether software that is essentially ancillary to the gambling process (e.g., back-office accounting) should require licensing at all. The basic compliance or sanction regime is set out in Sections 33–36 of the GA. It states that those who provide ‘facilities for gambling’ will commit a criminal offence unless they are properly licensed. Thus, operating without a licence (or with a licence but in breach of its conditions) constitutes the primary offence under the GA, carrying a maximum sentence of 51 weeks imprisonment and a fine of up to £5,000, as well as the revocation of any licence. The most serious offence under the GA, however, is that of cheating at gambling,59 which carries a sentence of up to two years’ imprisonment. There are a host of other offences including, for example, inviting someone underage to gamble, illegal advertising of gambling and the promotion of an unlicensed lottery. Prosecutions may be brought either by the police or by the Commission itself. Criminal prosecutions are generally reserved for serious matters and, in particular, circumstances in which gambling activity has taken place without a licence. Over the last years there has been an increasing focus on issues of money laundering and betting integrity issues. Although the Commission has a power to initiate prosecutions, it would normally simply play the part of collecting information for the benefit both of sporting organisations (in the case of betting integrity matters) and police authorities in the case of criminal matters such as money laundering or dealings in the proceeds of crime. Gambling services are generally exempt from value-added tax (VAT), which can cause a difficulty for operators since they will be liable for input VAT, but will often be unable to set such a liability off against output services that attract VAT. Instead of VAT, however, gambling services are generally subject to a form of gambling duty, which generally operates at a rate of 15 per cent on net profits.64 In the case of UK operators, this rate applies to all profits generated under the operating licence (no matter where the customer is located) but, for foreign operators, the duty is of course limited to business conducted with UK citizens. There are slightly different rules for the calculation of duty in relation to betting and gaming, and separate duties for amusement machines and gaming machines. Taxation of betting exchanges and intermediaries is calculated at the same rate, but in relation to commission earned by the operator. The key event in UK politics and law last year was, of course, the decision to leave the EU, which is discussed in Section VIII, infra. Aside from that momentous decision, other topics have impacted the UK gambling industry. There has been a good deal of focus on new forms of gambling that have become increasingly fashionable – including eSports, betting on lotteries and social-casino-style games. These are, in truth, not new concepts, but with greater popularity, we have seen calls to regulate them. eSports exist at the interface between skill-based contests and betting in relation to what might be summarised as the ‘competitive playing of video games’. At one level, these may be treated as outside the scope of gambling completely as they are generally skill-based contests for prizes. However, where bets are placed upon the outcome of the event or where chance has an impact on the game play, then they can become forms of gambling. We also saw, during the course of 2016, a number of individuals or organisations tapping into the huge success of video gaming (particularly online games) and offering gambling or quasi-gambling mechanisms to allow players to win game attributes or prizes in the form of virtual currencies that in some cases can be translated into real world value because of a secondary market. In one such case (involving individuals operating the ‘futgalaxy.com’ website), there were clear instances of lottery-style games involving gambling that were played to win the virtual currency used in the popular FIFA17 game. The operators of the site both pleaded guilty to operating gambling without a licence. The case was all the more serious since these types of site were very popular with children, which clearly touches on a major area of sensitivity under the Licensing Objectives. To date, the Commission’s position in relation to eSports and virtual currencies is that new law or regulation is not required, but that the situation will be kept under review. Another area in which there has been rapid development is fixed-odds bets based upon the results of large lotteries. This again is not a new concept (fixed-odds bets on lotteries and similar schemes such as the ‘49’s game’ have been known in the UK since the mid-1990s). However, the marketing of such products has drawn them to wide public attention and some would argue that they blur the interface between lotteries – a 16+ product with a significant charitable donation element and an 18+ betting product that can be offered at a more competitive return to player because there is no ‘good cause’ element. Recently, the government announced a consultation on proposals that the prohibition that currently exists in relation to betting on the National Lottery be extended to cover the pan-European product ‘Euromillions’. It seems likely that the Commission will also seek to ensure that the advertising of betting-on-lottery products be carefully monitored to ensure that consumers are clear on the type of gambling in which they are participating. In other developments, there has been a number of high-profile regulatory actions against gambling operators for perceived failings in relation to money laundering and know-your-customer checks. This is part of an overall policy move by the Commission towards a more stringent enforcement regime, seeking to oblige operators to be still more vigilant in their regulatory duties. All of this, of course, occurs within the context of the Fourth Anti-Money Laundering Directive, due to become effective in June 2017. On 23 June 2016, the result of a referendum on Britain’s membership of the European Union was announced, with a slim majority in favour of a withdrawal (‘Brexit’).69 It is still very difficult to say what the impact of this decision on the UK will be, except that all of the signs are that the process will be a long and complex one, and the result seems likely to be a significant separation of the UK from the EU – with options such as membership of the European Economic Area (EEA) or customs alliance appearing to be unlikely solutions at this time. At the time of writing, the government has triggered the two-year disengagement process under Article 50, but the negotiation process has not yet commenced. What will Brexit mean for the UK gambling industry? It could be said that gambling is essentially a matter of national policy only, and will be generally unaffected by Brexit. However, it seems likely that there will be impacts in a number of different spheres. 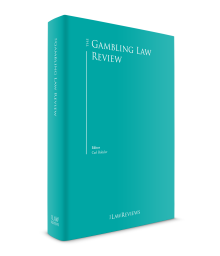 While remaining cautious about predictions, it is perhaps sensible to consider three distinct aspects: gambling as a form of commerce; gambling as a regulated industry and gambling as a legal topic that touches on criminal law. Europe has long regarded gambling as a form of service that is subject to the normal rules on freedom of movement and also on freedom of establishment. Indeed, a number of cases before the Court of Justice of the European Union made that point clear. However, European jurisprudence over the years has also emphasised the rights of Member States to derogate from the principles and to make laws that restrict or prohibit gambling to the extent that they are reasonably necessary and proportionate for the protection of public morals, and law and order.70 In that regard, the UK’s position has traditionally been very liberal, and the GA initially gave rights to gambling operators established in any part of the EEA to do business with the UK population. More recently, the UK’s position has become somewhat more ‘national’ with the focus on a point of consumption test for the licensing and taxation of gambling. Of course, with Brexit, this point of view can be expected to continue and, if anything, intensify. There is no harmonisation of gambling regulation at the EU level. However the UK is a party to the Cooperation Arrangement between the gambling regulatory authorities of the EEA Member States signed in November 2015. Once the UK is no longer a part of the EU or EEA, then its membership of this arrangement will no longer be guaranteed but, provided that the UK regulatory regime continues to maintain the same standards, there seems little reason why its continued participation in the arrangement should be called into question. This brings into focus one particular issue arising from Brexit, which is whether, despite the potential for exercising full autonomy in relation to its laws, the UK will nonetheless be effectively obliged to maintain national laws very similar to those existing as a matter of EU legislation if it is not to find itself in a position where it becomes effectively cut off from EU markets. This is the case for topics such as money laundering and data protection, for example, both of which are key to the gambling industry. It seems inconceivable that the UK government would jeopardise the ability for data import and export between the EU and the UK by adopting standards that were different, just as it seems highly implausible that the UK will not effectively implement the Fourth Anti-Money Laundering Directive. One matter that is not generally considered in an analysis of the impact of Brexit is the extent to which EU law impacts criminal law. However, EU law influences a number of areas, including definitions of certain criminal offences, mutual recognition and cooperation between Member States (e.g., evidence gathering in criminal matters, and dealing with those charged or convicted with offences who are located in another Member State), exchange of intelligence on criminal activities and the operation of EU policing agencies. As to these, the UK has already opted out of most of the definitions of criminal offences, but there is recognition of European arrest warrants, freezing orders and asset confiscation orders. The UK is also one of the biggest users of the European Criminal Records checking system, which it will not be entitled to use once it has left the EU. Beyond these specific spheres, one must also look to wider issues. Politically, there has already been a debate about the status and future of Gibraltar (see the Gibraltar chapter for more detail) but also from a more general social and economic point of view, the modern UK gambling industry relies upon the talents of many young and technically gifted employees from Europe and elsewhere to power the technology and customer support functions of its operations. It also represents a leisure industry, dependent upon the availability of disposable income. If access to a diverse workforce is reduced or a decrease in consumer confidence occurs as a result of Brexit, then the gambling industry, which has so far remained robust, may face increased challenges. 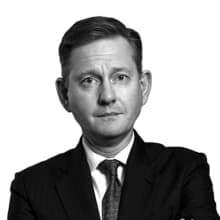 1 Carl Rohsler is a partner at Squire Patton Boggs (UK) LLP. 69 The vote was 51.9 per cent in favour of leaving and 48.1 per cent in favour of remaining. 70 For example, C-124/97 Läärä and Others, C-67/98 Zenatti, C-243/01 Gambelli and Others, and C-338/04 Placanica.